Remember Freddie Prinze Jr? He used to be a relevant actor in teen romantic comedies. In actual fact, he played a teen well into his later years thanks to the magic of youth, aka the power of an ironic hat. Now he will voice Iron Bull in Dragon Age, and pull weird faces to do so. Iron Bull is a Qunari, but according to FPJ, he’s a different kind than we’ve encountered thus far. He’s not solemn or reserved, he’s much more emotional and lacks a moral code. 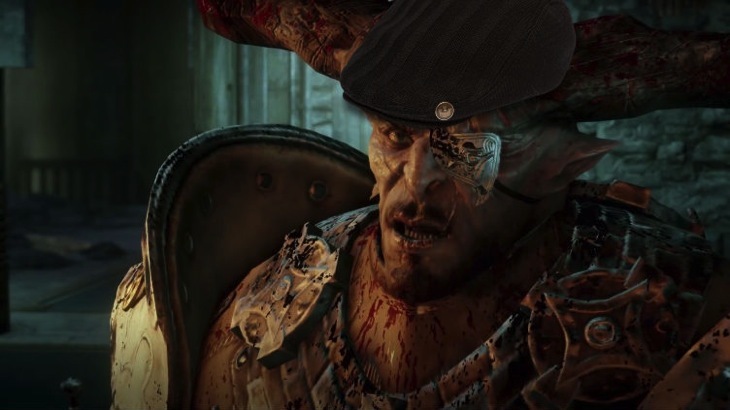 Seeing people as survivalists, Iron Bull is something of a Ronin – he will fight for those he wants to, but when it stops being worthwhile to him he’ll move on. Sounds like an interesting character and it’s nice to see some diversity in the types of characters associated with the Qunari – they were becoming a bit of a one-dimensional racial stereotype. This isn’t the first time Freddie Prinze Jr has done voice acting for Bioware – he did Vega in Mass Effect 3. However, this looks to be a much bigger, and more interesting, role. I always like the Qunari, I think they’re my favourite race in Dragon Age, and I love the fact that they will be playable this time around. It doesn’t seem to be that long now until we can dive back into the world of Thedas. I really need to replay those first two games so that I can remember what my choices were, or else I might be importing some weird decisions into my new game. Or maybe I’ll just start from scratch.